Let's start the week with a giveaway! Disclosure: I received this product for free as part of a review and giveaway opportunity with Bookieboo, LLC. The opinions in my review are honest and my own. As I mentioned last week, I had a booth at the Allegheny Green + Innovation Festival at Hartwood Acres. My sponsor for the event was Natural Products Network and I am grateful for their support. Thank them for me by liking NPN on Facebook. I'm sure you'll benefit from the valuable info they provide on a wide variety of natural products! It was a long day for me, since I'm still recovering from the nasty kidney infection that had me in bed for over a week. Fortunately, my lovely daughters, Bethany and Jessica, were there to help. I was so impressed with their poise and enthusiasm as they spoke with countless visitors to the booth about the dangers of fabric softener, the advantages of cloth diapering, the effectiveness of Hyland's Homeopathic products, and the many ways we can all cut down on waste in our lives. We had Hanky Books on display as an alternative to facial tissue, Burger's wool dryer balls and vinegar in place of fabric softener, glass straws instead of plastic ones, rags rather than paper towels, and Diva Cups as a safe option over tampons. 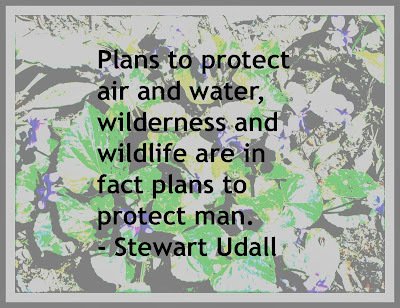 Less waste = less garbage in the landfills = responsible citizens of this amazing planet. I was also grateful for our friend, Erin Fitterer, who helped keep the grandkids occupied and covered the booth for us while we were in the tent doing a cloth diapering demo. I cannot tell you how proud I was of the presentation my daughters did. They know their stuff and present it well. At the end of the diapering demo, one of the attendees won a Angel Baby Essentials Bundle donated by Earth Mama Angel Baby. My husband popped in sometime after noon and helped by handing out literature and business cards. It was truly a family effort. An excited woman named Tiffany won the Vinegar Fridays bundle, which included four bottles of vinegar, a signed copy of my book, and a VF reusable tote bag. Due in just four days, a happy mama named Jennifer won six weeks of cloth diaper service, complements of Green Cheeks Diaper Service. By the way, the owners of Green Cheeks are now also the proud owners of Happy Baby Company and will be opening a brick and mortar store soon right in the heart of Bellevue, PA! We're so excited to see what earth-friendly and baby-friendly items they stock their store with! All-in-all it was a good day. I will admit it left me a bit exhausted, but I'm glad we had the opportunity to share our message of common sense greener and healthier living. And we were blessed with a phenomenally gorgeous day with temps in the mid-70s and an abundance of sunshine. The bright sun gave us the opportunity to try out a new-to-me product I received recently to review. Goddess Garden lotion with sunscreen was a hit at the festival. Thinking that maybe some people forgot to bring sunscreen to this late-September event, I offered free applications of the Goddess Garden lotion to anyone who stopped by the booth. The SPF 15 lotion is free from GMOs (you know that makes it a winner with me already! ), phthalates, and Vitamin A, which studies show may be a contributor to melanoma when added to sunscreen. This organic lotion comes in three fragrances -- lavender mint, grapefruit bergamot, and tangerine lavender. I chose the grapefruit bergamot and was quite happy with the fragrance when I applied the lotion. It went on smoothly and the light scent was refreshing. We also applied it to the grandchildren, as they played for hours in the sun that day. Neither Lincoln nor Laura got even the slightest burns. My daughters are quite particular with the sunscreens they will apply to their precious little ones, and the Goddess Garden passed their test. For those of you who live in states with warmer temperatures year round, every day is a day for sunscreen. 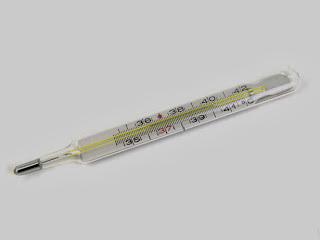 But for the rest of us, we have to remember that even though the air is cooler as fall settles in, we can still get burnt when out in the sun for too long. So don't dismiss the need for a safe sunscreen! Now, here comes the fun part! While I thoroughly enjoyed giving away prizes on Saturday, thanks to Goddess Garden, I get to do it again as one of you will win a tube of lotion in your choice of fragrance! The contest is open to folks in the US only (sorry to my international friends) and prize fulfillment will take between 4-6 weeks. 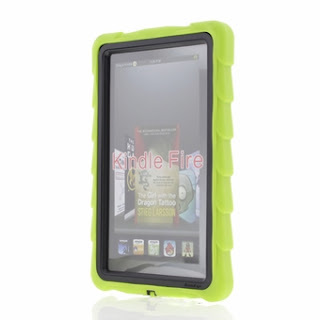 Just enter below on the Rafflecopter and good luck! Two weeks ago at this time, I had no idea of the physical suffering about to greet me the next day. The kidney infection knocked me down and kept me there for over a week and, today, still has me squirming. I had another terrible night last night and I'm dragging this morning. I guess this is just something I'm not going to bounce back from quickly. Tennille, one of GG's faithful followers, sent me a link to an eye-opening article about vinegar. Apple cider flavored vinegar, to be exact. Now we know, unless we're buying organic distilled white vinegar, we're going to have to accept genetically modified corn, chemical processing, or both. It's what keeps it cheap. As much as I don't want to support the GMO industry, I recognize that sometimes I don't have a choice. So when it comes to cleaning my toilet safely and economically, I opt for conventional DWV. However, my choices for ACV are a little more complicated. If consumed, I want it to be organic and raw. Period. There's no other way to reap the multitude of benefits and, quite honestly, I hate the taste. If I'm going to force myself to take it, it darned well better do me some good. 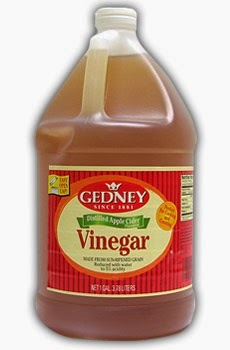 But when I dump a couple of cups of apple cider vinegar in the tub for a nice long soak, I use filtered ACV. The problem is, as pointed out to me by Tennille, I better start reading the labels more closely. 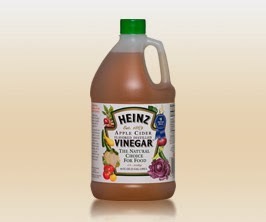 You see, Heinz has Apple Cider Flavored Distilled Vinegar. Yikes! 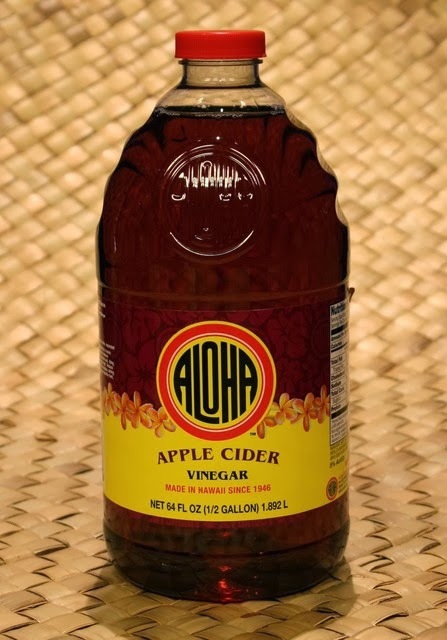 So basically, if I make the mistake and buy the flavored ACV, I'm wasting my money because it is nothing more than distilled white vinegar with apple flavoring. What?! Heinz® Distilled White Vinegar and Apple Cider Flavored Vinegar are sourced from corn, not from wheat, rye, barley, or oats. Wine Vinegar and Apple Cider Vinegar are sourced from grapes and apples, respectively, not grains. Why, oh why, would they do this? I feel deceived and that makes me angry. While it's true that the bottles are clearly labeled, no one would even think to read the small print placed between the words "Apple Cider" and "Vinegar," right? Have you ever looked? Well, now you know better, and so do I. Read the label carefully before you place that ACV in your cart, regardless of the brand. As it turns out, Heinz isn't the only one doing this. Aloha brand for example, looks like regular ACV, but then turn it around and read the ingredients. Not only is there apple cider flavor, but there is caramel coloring as well. So much for healthy! Same goes for Gedney brand. The list goes on and on. Yet another reason to ruffle GG's feathers. And while we're at it, did you ever read the ingredients on the back of your pickle jar? Unless you're buying organic, you'll find Yellow 5 in nearly every jar! I discovered that a couple of weeks ago and wanted to scream right there in the grocery store! Food coloring in pickles. Really? Yes, really. When I got home, however, I reached into the fridge and pulled out my Claussen Kosher Dill Spears and was delighted to see the word "turmeric" instead of Yellow 5. And after researching this, I read that there is no artificial food coloring in Trader Joe's brand, either. Lesson learned: READ THE LABELS. It's Green! It's Innovative! It's Here in Pittsburgh! I am beyond thrilled that I am well enough to attend the Allegheny Green + Innovation Festival on Saturday. If you are in the Pittsburgh area, this is one event you do not want to miss! 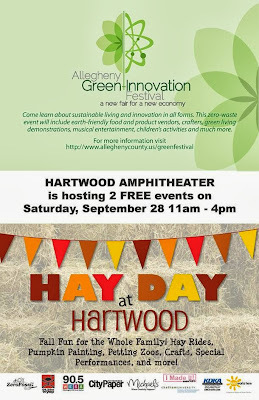 In conjunction with the amazing festival is Hay Day at Hartwood with fun for the entire family. This is bound to be a fun and informative day! And we couldn't have ordered more perfect weather -- 75 and sunny. Sweet. I am going to have a booth again this year, accompanied by my daughters, Bethany and Jessica, and my three precious grandchildren. At 3:00, we are doing a cloth diapering demo, providing lots of info and giving everyone who attends the chance to win an EMAB Baby Essentials Bundle, complements of the kind mamas at Earth Mama Angel Baby! Stop by the Green Grandma booth at any time during the day to enter to win the Vinegar Fridays gift pack, which includes a variety of vinegars, a VF reusable tote, and a signed copy of my book, VINEGAR FRIDAYS. 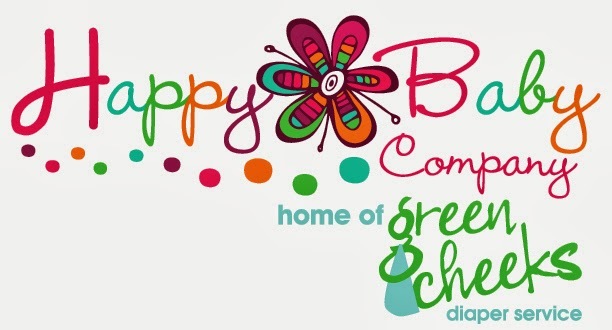 You can also enter to win a 6-week diaper service package from Green Cheeks, Pittsburgh's premiere organic cloth diaper delivery service! Now wouldn't that make a fantastic shower gift?! Three great prizes . . . but you have to be there to enter! Drawings will take place between 3:20-3:30 on the day of the event. What else will you discover at the GG booth? Some of my favorite green and homeopathic products, information sheets on the dangers of fabric softeners, and, of course, signed books for sale. I cannot end this post without mentioning my sponsor for the event -- Natural Products Network. Thank them for me by heading over to their FB page and liking them. It wouldn't hurt to thank them in a comment, too. Without sponsors, GG would cease to exist. Disclosure: I am participating in the Verizon Voices Boomers program and have been provided with a device and six months of service in exchange for my honest opinions about the product. Well, thanks to an antibiotic-resistant kidney infection, coupled with a stone that's still there and fevers often in the high 103s and low 104s, I've been on a hiatus. I hope you've missed me, even just a little bit. I have an amazing community of followers who truly care about me. I've seen how you've cared about others in the community, and now I've experienced firsthand how your thoughtful comments and faithful prayers shed a little bit of light into an extremely dark week. Thank you. Just because you think you're sick enough to be hospitalized, it doesn't necessarily mean your doctor will agree. Despite the recommendation of the doctor who was treating me in the ER, my physician decided (without having seen me) that my symptoms didn't warrant admittance. Thanks, Doc. I'm on the search for a new one already. My cats are capable of great concern. God tends to ignore prayers like, "Please let me die now!" The world doesn't stop because I don't check my email everyday. Yes, I did lose some business, but Speechless will recover. Sometimes, you can be so sick that you can't read or watch TV, no matter how bored you are. If you don't eat for a week, you lose weight. Fifteen pounds. Woo hoo! My Motorola Droid RAZR MAXX HD became my only connection to the outside world. I was too sick to sit at my desk and had no desire to have a laptop in bed with me, so at least I was able to check in on things from time to time (after the first couple of "I don't care about email, the blog, Facebook, or Twitter"). It kept me in touch. By the way -- the smart phone is on lend to me through the Verizon Voices Boomer program. I was a chosen blogger to fly to Chicago and try out some Verizon products, including this phone. For those of you who know me, I'm about as interested in technology as, well, your typical grandmother. But I've had fun with the phone and, like I said, it was invaluable to me last week. When you're really sick and there's only one thing you want to eat, you stop worrying about artificial food coloring and sugar, and you reach for the JELLO. I'm sure that's just a partial list, but it's what I can think of right now as I sit at my desk once again. I've missed this desk. I've missed work. And I've missed GG. Thanks for staying faithful. Now, tell me the truth -- you weren't going to give up on me, were you? Stressed? Who isn't these days. That's why you'll want to sign up for the Hyland's 5-Day Stress Challenge. 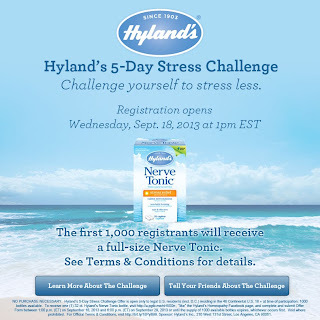 The first 1,000 people to register will receive a free full-size Hyland's Nerve Tonic to be sent to them prior to the launch of The Challenge which will run from Monday, Sept. 30th through Friday, Oct. 4th. Each day on the Hyland's Facebook page, a daily challenge will be featured. There will also be information relating to a specific topic that promotes natural solutions for managing and reducing stress. 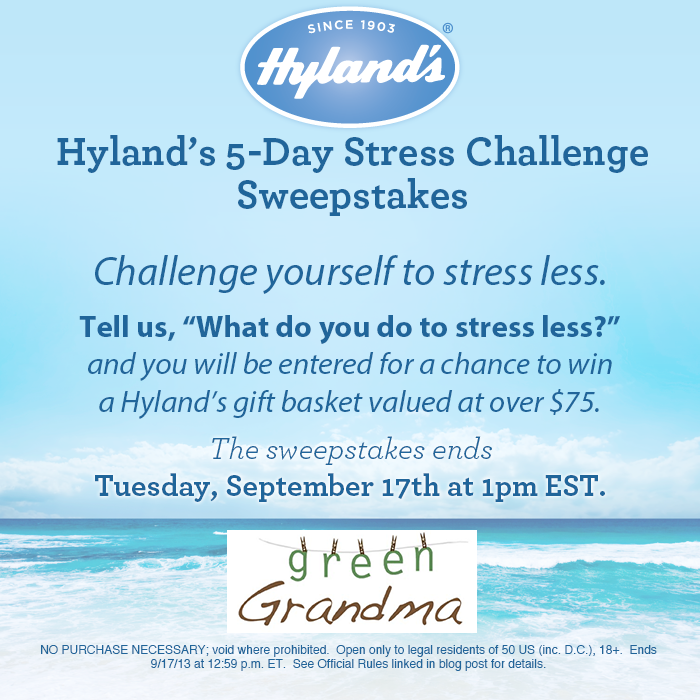 At the end of each day, participants will answer a question for a chance to win a Hyland's Stress Less Duo, there will be a chance to win the GRAND PRIZE basket chock-full of anti-stress products from Hyland's and other amazing partner brands AND a $100 Spafinders gift card. Did you catch that? On top of everything else, the winner receives a $100 Spafinders gift card! Ahhhh. All you have to do is answer a brief, five question survey to help Hyland's better understand your experience with The Challenge. There's nothing to lose and oh so much to gain. What are you waiting for? 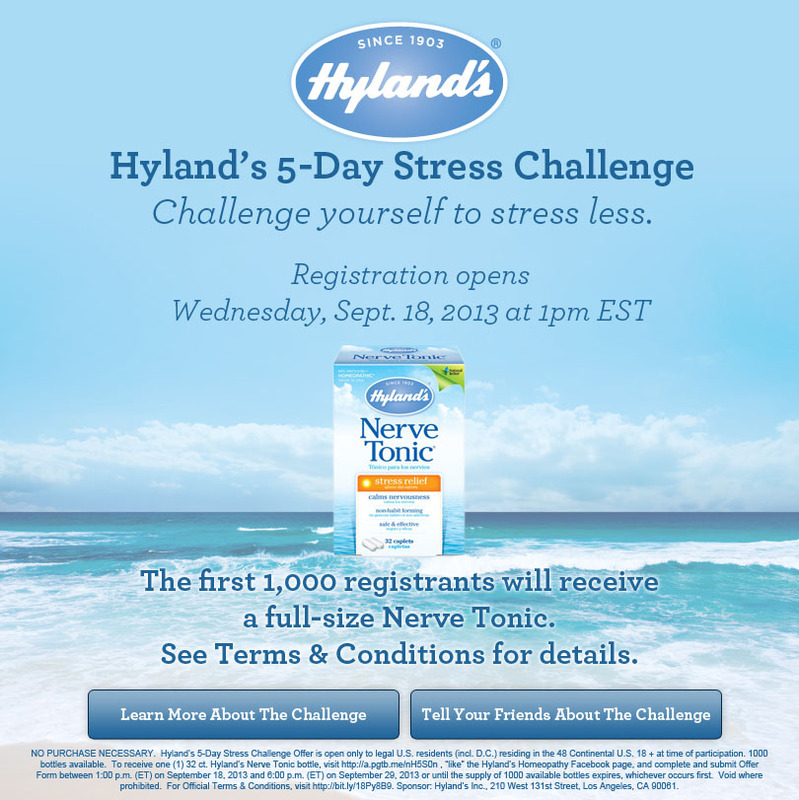 Register for the Hyland's 5-Day Stress Challenge NOW! 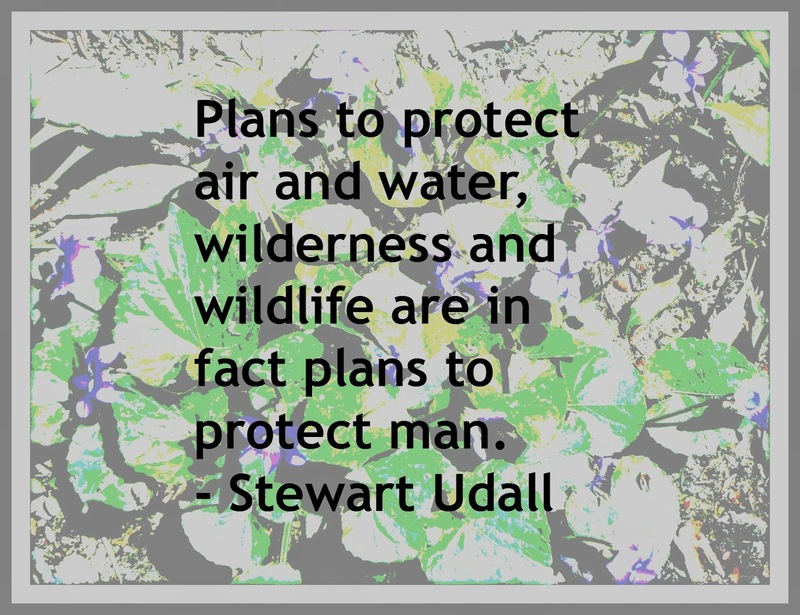 "There is nothing as powerful as those innocent, vulnerable little eyes to remind us of the majesty of our charge to take care of the earth. Politicians often talk about 'future generations' in a vague way, but here they are, giggling, wondering, spilling milk on the rug, and you have to stop and think what kind of air, water, and land we will leave them to grow old in. I think the example parents set is as important as anything -- picking up litter and throwing it away, recycling, speaking with respect for the farmers who make the fresh foods that go on the table -- all these things send powerful messages to children about our place in the world. Every day mothers take care to protect their children from harmful foods, toxic cleaners, harsh rays of the sun -- the earth itself needs that kind of love, and mothers can lead the way in giving it." ACV in the tub and a Hyland's Gift Basket. It's a dandy Vinegar Friday! Did you know that over 70% of Americans suffer from stress? I must say I'm guilty from time to time. Financial stress is probably my worst enemy, followed by deadline stress. Deadline stress, however, is self-imposed, since deadlines rarely sneak up on me. It simply comes down to mismanagement of time. So, what do I do to de-stress? For as long as I can remember, hot baths were the answer for me. When I was a young mom, my late-husband would often come from work, take one look at my frazzled expression and say, "You look like you need to relax." Then he'd send me off to the bathroom for a soak in the tub. Often, he'd even bring me a cup of hot tea while I was in there. I could relax, knowing he was taking good care of the kids. Yeah, I was blessed that way. My kids grew up with a mom who spent endless hours in the tub reading. 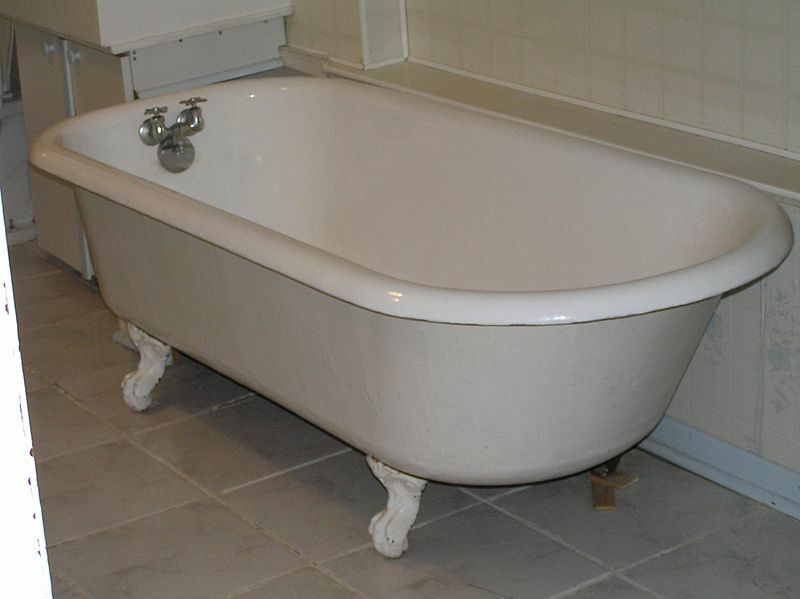 The bathtub was my stress-free zone and I rarely skipped an opportunity to unwind there. Lately, however, I'm finding my body doesn't appreciate the position I'm in while taking long baths. I guess it has to do with my scrunched up neck and the odd position of my head. Plus with the summer heat and/or onset of hot flashes, it's no longer my favorite de-stressing activity, although I do still indulge in an apple cider infused bath at least once a week. The ACV draws toxins out of my body and re-balances the acidity. It is also energizing and skin-softening. But what happens when there are bills to pay and deadlines to meet and webinars or conference calls to participate in and there simply isn't time for the luxury of a relaxing bath? 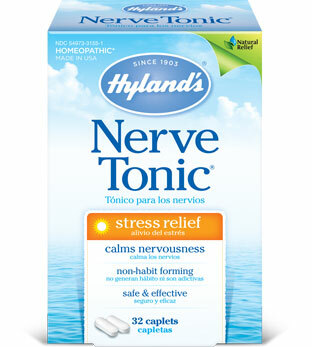 That's when I reach for Hyland's Nerve Tonic. Since it's homeopathic, I'm perfectly fine with it. It's not like I'm reaching for an Ativan or Valium to help me deal. 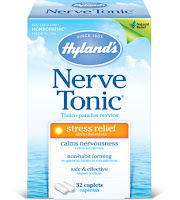 And if it's too late to take a bath because I have an early morning ahead, I simply take a few Hyland's Calms Forte tablets to help my mind let go of the day's stress and allow me to sleep peacefully. What about you? What causes the most stress in your life? What do you do to stress less? Leave a comment below by 1:00 p.m. Tuesday, Sept. 17th, then click the easy entry link on the Rafflecopter. 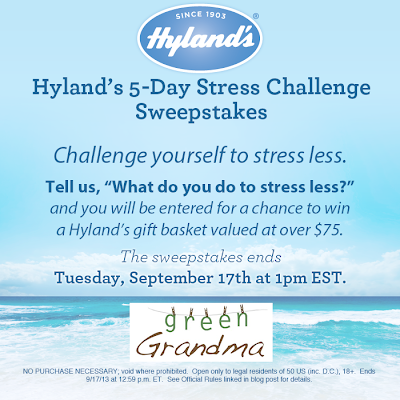 I will announce a winner of a Hyland's Gift Basket on Wednesday, Sept. 18th! Simple as that. On Wednesday, Sept. 18, Hyland's is accepting registrations for the 5-Day Stress Challenge on Facebook, which kicks off on Sept. 30. I'll be posting details on Wednesday, so don't miss it! There is a fantastic GRAND PRIZE! So, I'll ask again: What causes the most stress in your life? What do you do to stress less? Looking forward to awarding someone in the GG community a fantastic prize package, courtesy of Hyland's! NO PURCHASE NECESSARY; void where prohibited. Open only to legal residents of 50 US (inc. D.C.), 18+. 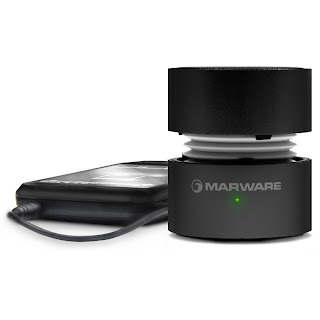 Ends 9/17/13 at 1:00 p.m. ET See Official Rules for details. Sponsored by Green Grandma, 132 Martin Rd. Pittsburgh, PA 15237. HOW TO ENTER: Click here to access the Sweepstakes. Answer one of the following questions: "What causes the most stress in your life?" or "What do you do to stress less?" Complete and submit your entry. Entries must be submitted between 12:01 a.m. Eastern Time on September 13, 2013 and 1:00 p.m. (ET) on September 17, 2013. All entries must be received by 1:00 p.m. (ET) on September 17, 2013. Odds of winning depend on number of entries received. Sponsor is not responsible for lost, late, illegible, corrupted, or misdirected entries. Only one entry per person/e-mail address/authorized e-mail account holder. The winner will be announced on Green Grandma on September 18, 2013. Shout it! Yes on 522! Remember Prop 37? Californians were assaulted by loads of misinformation about the labeling of GMOs. The result? The big corporations, you know -- the ones with money -- got their way and Prop 37 was shot down by less than a 6% vote. And those of us who could see through their lies were angry. Furious, in fact. Now Washington state has a similar proposition that will be voted on in November. Won't you join me in spreading the word about Prop 522 so that Washingtonians will hear our shouts above the clamor of corporation deception? The facts are that big pesticide and junk food companies don't want you to know what's in their products. They want us to be sheep and they fully intend on being shepherds. The problem is they're leading us astray and the results to our children and grandchildren are bound to be catastrophic. While I'd love to see GMOs eliminated entirely, that's not what Prop 522 is about. It's about consumers being educated and then choosing for themselves what is best for their families. This is a basic right we should have as consumers. The fact that companies continue to hide what is in our food makes me furious, as it should all Americans. We're not only being lied to, but we're being poisoned in the process and IT HAS TO STOP! Over 64 countries and the vast majority of industrialized nations already ban or label GMOs. Why are we trailing so far behind? All we need is for enough people to vote YES on Prop 522 in Washington. As awareness spreads, other states are sure to follow suit. The big guns are out and they're discharging their money into the cause to shoot down those of us who are demanding transparency. Monsanto alone just sunk $4.5M into the campaign to defeat Prop 522. The food companies are more concerned with their bottom line than our RIGHT TO KNOW. I'm going to be posting and tweeting a lot about this. Follow me on Facebook and Twitter and repost and retweet away! Lions, or is it liars, roar. Let's roar louder! 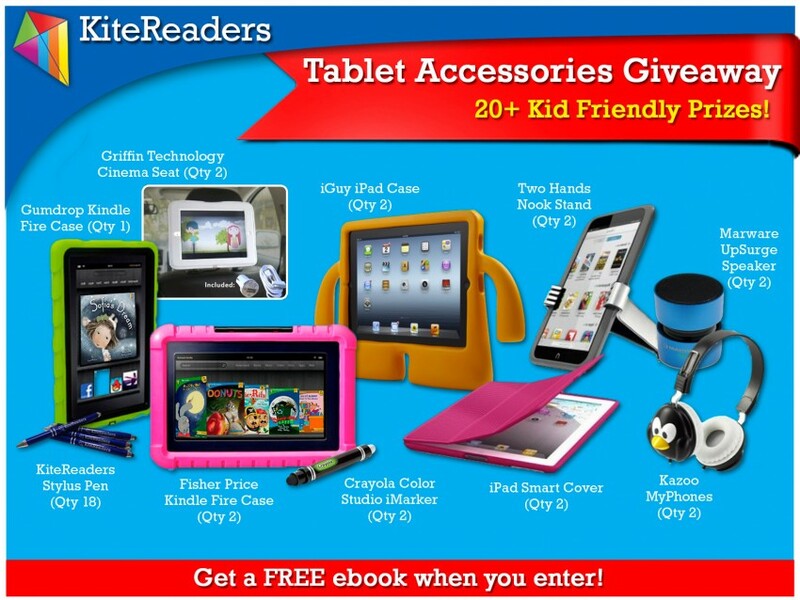 Tablet Accessories Giveaway -- Plus a FREE KiteReaders children's book for everyone! it is my responsibility to let you know that the following is a sponsored post. KiteReaders is a multi-award winning digital publisher of children’s books. With over 100 titles and 30 best sellers across Amazon, Barnes & Noble, and iBooks, KiteReaders aims to provide quality content for children and their families and increase literacy around the world. Visit KiteReaders and be sure to like them on Facebook. 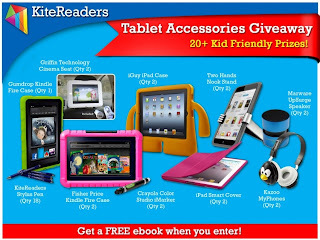 KiteReaders is thrilled to host and sponsor a Tablet Accessories Giveaway and I'm happy to be a part of it. 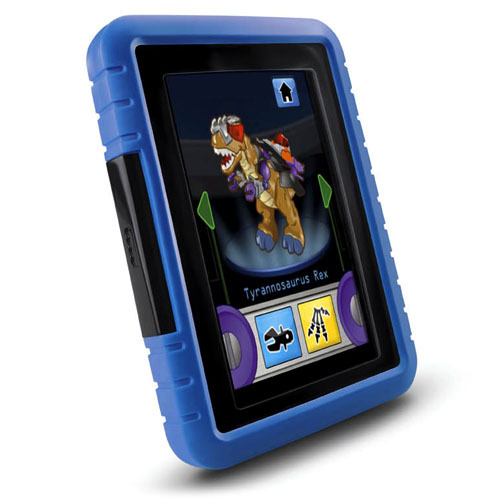 We have an amazing selection of some of the most popular kid-friendly accessories available for your tablets out in the market today! If you've been following GG for long, you know I am cautious about young kids spending much time on electronic devices. That's not to say they don't have their place for occasional use. Just make sure they're using them safely and screen time is not replacing face time with other kids and adults. 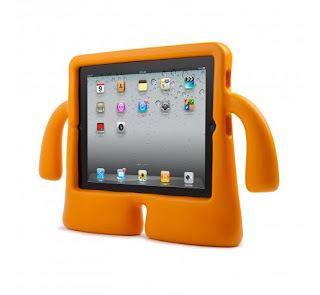 And, of course, it can be difficult to maintain your tablet when you have a young child who always wants to use it. 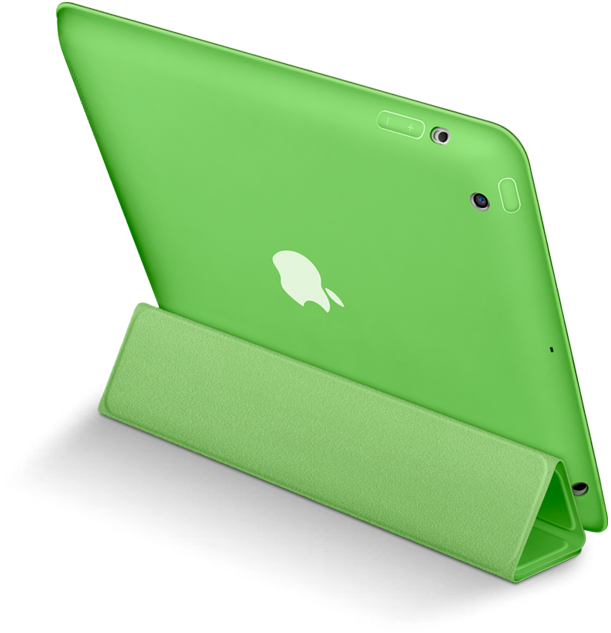 Whether you want to protect your tablet with a kid-friendly case, use a handy stylus instead of your fingers to touch the screen, or simply accessorize your tablet with some awesome headphones, we’ve got you covered! When you enter the giveaway, not only will you have the chance to win one of these highly coveted prizes, but you will also be able to immediately download one of our award winning titles … for FREE! Simply enter the giveaway below and read more to learn all about our 20+ amazing prizes! Giveaway Rules: US Residents, 18 years and up only. One entrant per household. Winners will be picked randomly through the Rafflecopter entry form. Winners will be emailed and will have 48 hours to respond before a new winner is chosen. 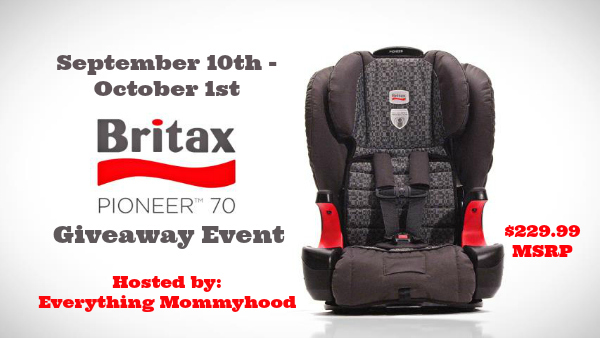 Britax Pioneer 70 Car Seat Giveaway Event! Vinegar and coconut . . . say what?! 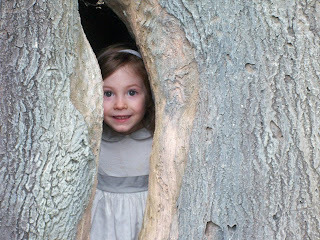 Grandparents Day -- Hype or . . .